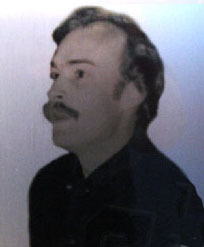 Randy was an icon on the local sports scene from 1980 until his untimely death in October of 2008. His love of sports while growing up in Jesup won him a spot on the Georgia Bulldog roster. 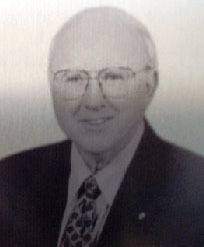 Knee problems ended his active career but Coach Vince Dooley allowed him become the team trainer. He also became the chief high school recruiter. When he moved to Waycross with the recreation department, he impressed many people. 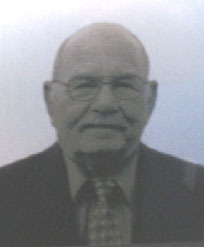 Waycross High School placed him on staff as the head trainer for all sports in 1980. 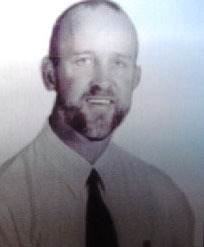 When they merged with Ware County High School, Randy retained the same position after consolidation in 1994. The staffs at both high schools are greatly indebted to Randy for the countless athletic injuries he has treated over the span of 28 years. Most athletes “down time”was far less than anticipated due to Randy’s expertise in the field of sports medicine. Randy taught a student trainer course for many years and the proteges are thankful for his tutelage. Many sought to follow in his footsteps as athletic trainers after high school. The legacy he leaves is monumental. 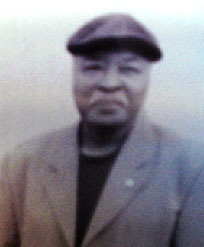 He was a member of the Olympic Committee of Waycross-Ware County in the 1990s. He became the official trainer for the Lithuanian Olympic team that trained in Waycross and went to Atlanta with them for their competitions. Randy died doing one of the things he loved the best, his duties as Trainer for our local high school. He was finishing up his duties at Ware County High School after returning from a Friday night away game. 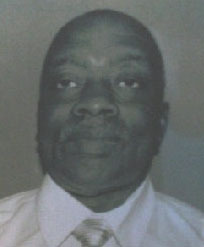 Randy was very active in many community affairs and appreciated by many. He was laid to rest in Bulldog Haven, ( A special Section for Georgia Lettermen) in Oconee Cemetery near Sanford Stadium on the University of Georgia Campus. He was the first person to be buried in that section. Randy was married to Joyce Carpenter and their two sons are Jonathan Randall and Joshua William Sharpe. 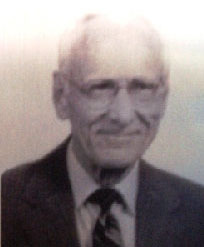 Grady’s athletic career at Wacona High School began in September 1949 and culminated in May of 1953. He was multi-talented and excelled in three sports for the Hornets. He earned four letters in football while at Wacona. 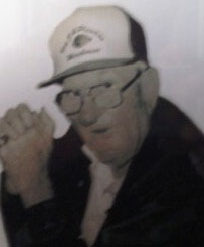 He first lettered as a freshman playing halfback on the second team that Wacona fielded in 1949. The Black and Gold had their first winning season in 1950 with a record of 6-4. Grady’s contributions at half-back were instrumental in that milestone. Shifting to fullback in 1951, the Hornets stood Region 1-B on its head by going undefeated as they won the Region title with a stunning 10-0 record. Grady scored 100 points and gained over 1,000 yards that year. He had the winning TD in a 20-13 win over Folkston in the first game of that year and ensured an undefeated season scoring the winning TD against Baxley in the final 50 seconds of the last game of the regular season. They later lost to Cordele in the playoffs. He returned as a full back his senior year. The team had a very good record at 7-2. He led the team in rushing and scoring that season. A two-way performer, Grady played extensively on both offense and defense his last two years. He won three letters in basketball. He saw ample playing time as a sophomore in 1950-51 and became a starter in the 1951-52 and 1952-53 seasons. He led the team in scoring those last two years. His high point mark was 33 points against Manor. His baseball skills added three more letters to his resume. He earned his first “W” as a sophomore. His second and third awards came in 1952 and 1953. He divided his time between catching and third base those two seasons. The Hornets went to the playoffs his senior year but lost to Screven County. Grady Crawford was one of the most versatile athletes in the long and stored history of Wacona High School. He is married to Pat and they have 6 children. Janet was arguably the most accomplished tennis player in the history of Southwood School. Her many accolades include Most Valuable Player Awards all four years of high school. She was the district singles champion and won the state singles title in the 9th, 10th, 11th and 12th grades. She was undefeated in SEAIS circles for four years. Janet was also a leader on the Warrior basketball team for four years. Her junior year, she was the offensive MVP and was chosen to the Al Sub-Regional, All Regional and Douglas Christmas Tournament teams. She was the captain her senior year and again was selected tot the All Sub-Regional team. Participating in the Southeastern Tennis Tournament, she was the runner-up as a junior and the tournament champion her senior year. This competition brought together the best players from Louisiana, Mississippi, Alabama, Tennessee, and Georgia. Her talent took her to Georgia where she lettered for four years. At UGA, she played positions # 4, #3, and #2 and served as team captain in 1980. She was Georgia state collegiate champion for positions 4, 3, and 2 while at the University of Georgia. While there, the tennis team won 20 straight matches against in-state competition. In her early years, Janet won the Georgia Recreation and Parks state championships in 1968 and 1970. She also came in second place in 1971 and 1976. Her tournament wins included Jekyll Island Invitational Tennis Tournament in 1976 and Harry B. Anderson Memorial Tennis Tournament singles and doubles title in 1977 and the singles crown in 1978. 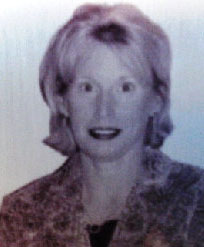 Janet coached the girls tennis team at Waycross High School from 1980 through 1985. 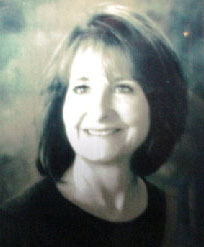 She was Class AAA Coach of the year in 1980-1981. Janet is the daughter of Jim McClelland (1991 inductee of Waycross-Ware County Sports Hall of Fame) and the late Bunchy McClelland. She is married to Sonny Monroe III and they have one daughter. James was a two year starter at halfback on the 1970 and 1971 Waycross Bulldog football team. Coaching the Canines those two years was Nolan Lang. After Doyle Orange’s record setting year in 1969, the Dogs fell to 5-5 in 1970 and then rebounded in 1971 to a solid 7-3 season. Starting with three consecutive shutout losses in 1970, James broke that string with a 61 yard punt return against Tompkins for a 6-0 victory. He was outstanding in a 33-0 win over Arnold and then gained over 100 yards rushing in a 25-6 triumph over Groves. The 26-8 win over arch- rival Glynn Academy was not only a stellar offensive game for James with two TDs, he stunned the Red Terrors with three interceptions on defense. He had a 57 yard TD reception in the final game against Coffee. Opening game of the 1971 season was a 14-0 victory over Bradwell and James gained 80 yards rushing. Next week was even better as he blasted Jesup for 129 yards and three TDs, one for 87 yards. In the season finale, he caught a 55 yard pass in the end zone to beat Coffee 14-7. There was only two seconds left in the game. James was also a prominent member of the successful track teams under Coaches Churck McKenny and Manual Rivas. Waycross was known for its sprinters. Speed demons like Doyle Orange and Morris Jackson were world-class and James was not far behind. James sill holds the Waycross High School record for the 400 meters with a time of 47.7 seconds. He was a member of the record holding quartet in the 400 meter relay along with Doyle Orange, James Lewis and Johnny Cannington. While not achieving the distinction he enjoyed in football and track, James was a good solid jouneyman player on the basketball. He was a valuable contributor for coach Allan Johnson whether starting or coming off the bench. A modest scorer, he was especially strong as a defender. He is married to Regina. The following are excerpts from former players and friends extolling his virtues and qualifications for induction into the Sports Hall of Fame. Keith Ingalls said D. J. coached him as a kid. Only after becoming an adult and coaching 13 years himself did he realize how dedicated and hard D. J. had worked for so many years. He touched the lives of countless kids in this community and made a significant impact. In recommending Coach Brown for induction into the Hall of Fame, Sammy Gaskins said D. J. was a wonderful man and coach and he made athletics fun and rewarding for many in the Waycross area. Coach Brown’s investment in the lives of numerous young athletes in this area is a legacy of his unselfish devotion. D. J. was married to Lola Brown and they had six children. A plaque in the Ware County High School trophy case is a lasting tribute to the outstanding athletic achievements of Pam (Purcell) Crews in basketball, softball and track. Many will tell you that she was one of the most talented and successful athletes in Ware County High School history. Few would argue that point. During her high school career 1985-1989, Pam won numerous awards and 12 varsity letters. She received Most Valuable Player Awards in all three sports in which she competed. She was declared the most outstanding female athlete in both her junior and senior years. Her senior year, she was honored as the Ware County High School Scholar Athlete of the year and represented her school at the Sports Hall of Fame banquet. She earned a spot on the varsity basketball team as a freshman. Many honors followed and she earned state honors as a senior including selection as an alternate for the North/South All Star Basketball game. Pam ran in several events in track but her acclaim came as a discus thrower. She placed first in the region discus competition as a junior and as a senior. At the state meet her senior year, she finished third in the state. Perhaps her greatest achievements came on the softball field. She was a consistent hitter who average .400+ and hit with power to compliment her extraordinary prowess as a pitcher. Chosen for the South All Stars, she played in the North-South All Star game as a first baseman and pitcher going 5 for 7 at the plate with a home run. Afterwards, she claimed the Most Outstanding Player Trophy for the game. Earning a softball scholarship to ABAC, she led them to third place in the Nation as a freshman and they won the National Junior College Championship her sophomore year. She was the starting pitcher for the Fillies. Her nine year teaching and coaching career at Waycross Middle School further enhanced her athletic accomplishments. Her teams won two basketball championships, three softball championships and three tennis championships. Pam earned a Master’s Degree in Educational Leadership and currently teaches physical education at Blackshear Elementary School. Her husband is Toby and they have two sons, Brady and Jayden.